CAN YOU EVEN be dealing with wearing foundation in this heat. That’s not a question. No, you can’t. Therefore, here’s a list of handy BB creams that won’t break the bank, so you can go back to your regular industrial-strength body paint as soon as the rain comes next week. You’ll have to hunt to find Note in pharmacies across the country, but it’s worth it. Well, you could just get it online. This might be a little heavy for some, but it’s a great compromise when you want good coverage but also don’t want to sweat your face off in the heat. It’s light enough to feel like it’s not there at all. I love everything about this brand, and the BB cream is no exception. It’s completely organic, contains SPF 30, and gives you great bang for your book. It’s also extremely, extremely pleasing in texture. OK usually I’m not a fan of many things being thrown into one, but here we are. This is lightweight, concealing, and weirdly matte. The nine things it claims to be? Priming, moisturising, pore minimising, concealing, covering, smoothing, mattifying, brightening, and protecting. Oh yeah, it’s got SPF 25. Perfect. This is a relatively new addition to the BB cream scene, but it’s a really good forumla. The tint is nice and not the usual orange colour, but a natural light formula. It’s also smells lovely. You can get this in Penneys, or a range of pharmacies around the country, along with the whole Flormar range. This stuff is like a tinted moisturiser, and really hydrates the skin. However, it might be a bit ‘wet’ for oily skin, but is an absolute gem if not. That’s Lidl’s cosmetic range, for those of you who shop exclusively at Marks and Spencers. Don’t turn your nose up at it just yet, this stuff is actual magic for dehydrated skin. It doesn’t feel luxurious, but it’s practical and gets the job done. The colour is natural (if a little non existent) and it glides on like a moisturiser. The best part is that it’s only a little more than three quid. I’d be a perfect spend for these couple of days of summer. Finally, the good ol reliable La Roche-Posay. 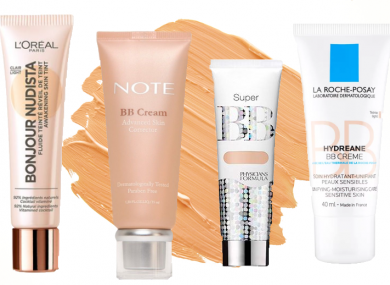 A great slightly-bigger-than-budget range, and their BB cream is no different. It’s got buildable coverage and is a perfect mix of foundation and moisturiser. It’s got and SPF 20, and is Cream enriched with La Roche-Posay Thermal Spring Water. Cooling. Email “7 of the best BB creams under €15 to get you through the summer ”. Feedback on “7 of the best BB creams under €15 to get you through the summer ”.